There’s a plethora of damn good haircare products with great price points to match hitting the shelves right now, and the latest is Pantene’s foray into the world of naturals. Combining cutting edge technology with nature’s best to achieve hair with fullness and shine, the Pantene Pro-V Nature Fusion conditions and strengthens your hair against breakage, so you can kiss dry and damaged hair sayonara and get the glossy locks you’ve always wanted. 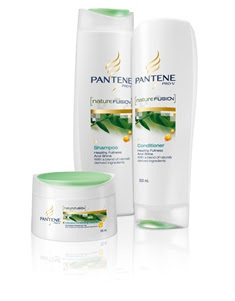 The Nature Fusion collection features Pantene’s signature Pro-V science combined with essence derived from the Cassia flower – a natural ingredient proven to help deliver healthy hair. Cassia is an ancient botanical renowned for its medicinal benefits, along with its detoxifying and purifying properties. Nature Fusion utilizes this powerful combo along with avocado oil, grapeseed extract and bamboo, which work together to add resilience and fullness to your hair, without weighing it down. As well as a great shampoo, the collection includes Pantene Pro-V Nature Fusion Conditioner. The innovative dual-surfactant technology creates a special ‘airfilm’, working to separate your hair strands for effective and even distribution of conditioning ingredients, so even on your most frantic mornings you can make sure that your hair is getting all the love it needs. You can also enjoy a little indulgence with Pantene Pro-V Nature Fusion Rinse-Off Treatment, which contains a rich concentrate of conditioning ingredients to give you beautiful hair this season. The rinse-off treatment forms a protective layer over your hair to repair damaged strands underneath with minimal effort from you. In addition, you can also choose the Nature Fusion Leave-On Intensive Treatment to give your locks that extra boost, a rich creamy formula that provides an additional protective coat for dry, damaged hair – lightly conditioning your hair anytime it needs an extra dose of moisturisation.